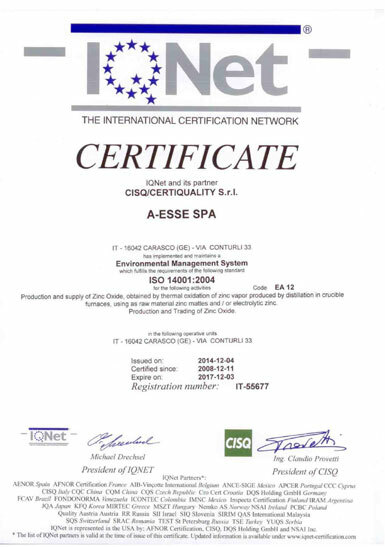 A-ESSE attributes great importance to protection of the environment and has adopted environmental management systems. 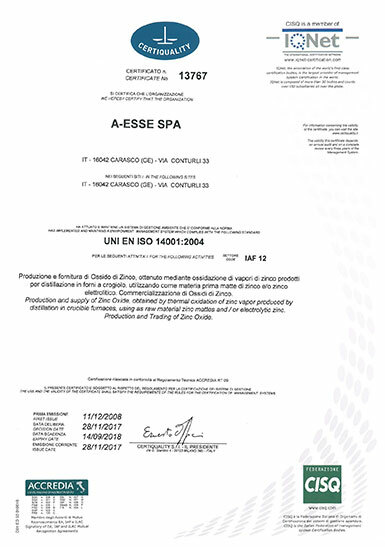 The process of obtaining certification under standard UNI EN ISO 14001:2004 began in 2008 and concluded when the first certificate was obtained in December 2008. The company still maintains the system.